Windows 7 includes a shortcut key to fast and simply create a New Folder! The key combination for New Folder in Windows-7 is: [Ctrl+Shift+N] and a new folder will be instantly created! or click the Button for "New-Folder" [... see Image 1 Arrow-2] ! New Folder Hotkey in Windows 7 in Windows Explorer! Simply use this shortcut key anywhere in Windows Explorer! 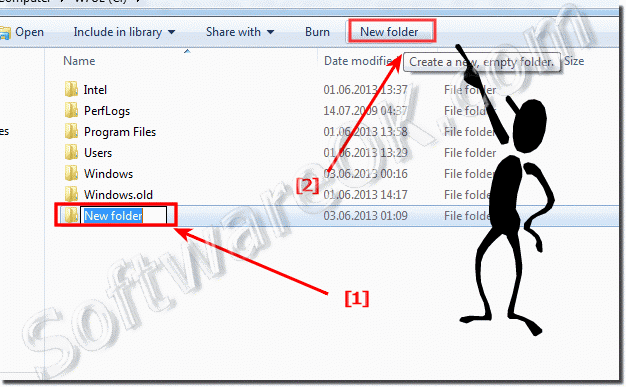 Windows-7 - FAQ-62: New folder hotkey in Windows 7 for Windows Explorer!